AFREADA x Africa Writes call for entries for 2018 AFREADA x Africa Writes Competition. If you know anything about AFREADA competitions, you’ll know that we like to keep it simple with the rules. All you have to do is read this prompt until you begin to see colours and hear sounds. Read it until the sounds become voices, and the voices become conversations between characters… then use all that wonderful creative energy to write a fictional story. · All entries must be no more than 500 words. 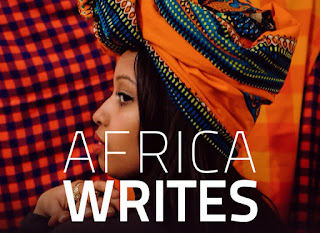 · Please put “AFREADA x Africa Writes Competition – Your Full Name” in the subject line. · In the body of the email, please include your contact details, social media handles and a short bio (100 words max). · Deadline: Friday, 15th June. 23:59 BST.